One step into the past is three steps into the future. I heard of a tour that the Estudiantina de Álamos had made to San Francisco and Los Angeles. It would be wonderful if this organization of young men could retrace de Anza’s steps in California. Just think, Estudiantina de Álamos performing in San Francisco, Monterey, Santa Barbara and Los Angeles. It would make a beautiful poster. Natural sponsors would be these cities’ Historical Societies. Cultural roots are most clearly understood through music. Wherever these young men stroll singing they are Álamos ambassadors. They play often in many places, they are part of Alamos' heart. On this evening the Estudiantina de Álamos was playing on the steps of Old Hospital ruins left standing as part of a restoration into a hotel. A bus load of Copper Canyon tourists were being entertained and dining. And then a murmur swept through the bustling patio, heads turned and whispers followed. Carroll O’Connor, actor and Álamos home owner, had entered the room which rose in a standing ovation. Almada women attend an evening Estudiatina concert at La Posada hotel. I remember little about these women other than: left to right, she lived in Los Angeles and had a flirtatious air, the redhead was part of the last Almada family to live in Las Delicias, the third women was an interior decorator from Connecticut and the youngest was married to a political big wig in Mexico City. 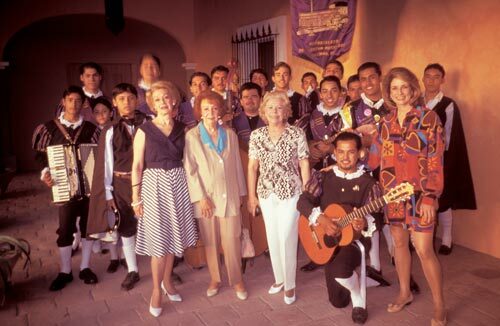 All the women had friendly smiles, easy laughs, moments of bitter and sweet remembrance and multiple changes of clothes for an enjoyable day and evening in Álamos courtesy of a dedicated Museo staff. In Alamos, once an Almada always an Almada. It is a big day in the Plaza. A TV crew has come to town and is filming a music concert. 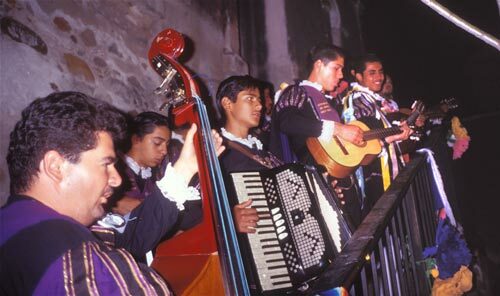 Estudiantina de Álamos, a crowd favorite, is performing. They will also back up several other acts. The bandstand is surrounded by adolescent girls and an scattered smiling mothers. A special time in a special place for people who feel special. This is the introduction to a film that was shot over the 1993 winter holidays in Álamos. This is a glorious season for the town. We start out at the airport and head east into town and visit the Alameda lined with stores and professional offices. Estudiantina de Álamos music is featured. 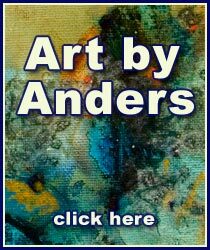 Pember told Anders, “always call us Álamos, Sonora, Mexico.” And Anders has. Pember and Elizabeth Nuzum were a major part of the North American Community for decades. Their casa next to the Church on Calle Comercio #2 greeted many many who visited Álamos, including Anders. It is not uncommon to have rain squalls in December. And it was common to hear Pember playing his theater organ in the Nuzum music room. Those days are gone. But the spirit lingers, it always does. 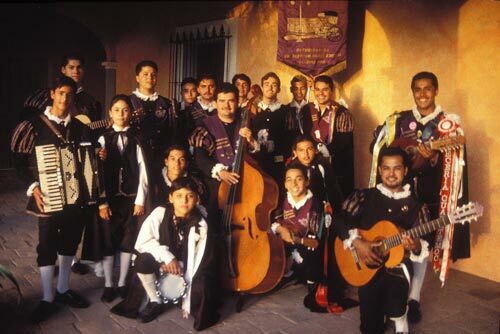 Music is part of the Álamos fabric, the Álamos way of living. The location is the Old Miners Hotel on the east side of Plaza de Las Armas. The event is a holiday wedding reception with imported polka band and a free flowing bar. High spirits, friends, family and a driving beat makes for a good time. Tomorrow would be another day. This page took 0.352 seconds of computer labor to produce.